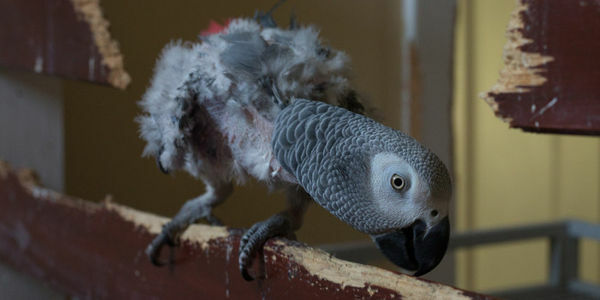 Illegal poaching for the pet trade has decimated wild populations of African grey parrots by up to 99% in some areas. Poachers prey on the birds' social nature and lure these intelligent birds into their traps and nets by using captive parrots to attract wild ones. The hunters then brutally chop off the birds' flight feathers so they won't fly away, and bundle them into cramped, crowded boxes. After a long, arduous journey out of the jungle, the parrots are crammed into a larger shipping crate with dozens of other illegally captured birds. 66% of these parrots will die before even reaching the plane. If this demand continues, these amazing animals might disappear entirely from the wild. Turkish Airlines is typically used to transport the birds and the company has failed to check these crates thoroughly for African grey parrots and other protected birds, these shipping crates end up on its planes destined for overseas. Tell Turkish Airlines to stop enabling the smuggling of endangered birds. They must stop transporting all birds, until it's sure African grey parrots and other protected species aren't being flown on its planes.